As you probably know by now, Gluten Free by the Sea is always happy to showcase Plymouth based companies doing great things in the gluten free world. The latest company I have discovered is a brand new company, A Piece of Cake Bakery. 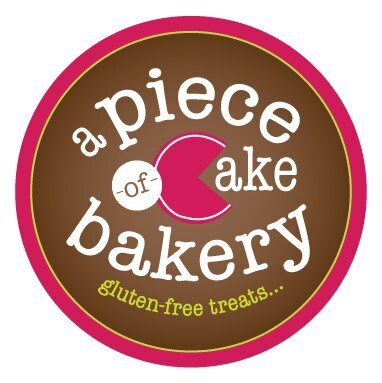 A Piece of Cake Bakery is an exclusively gluten free bakery founded by Louise Pen-Collings RD. 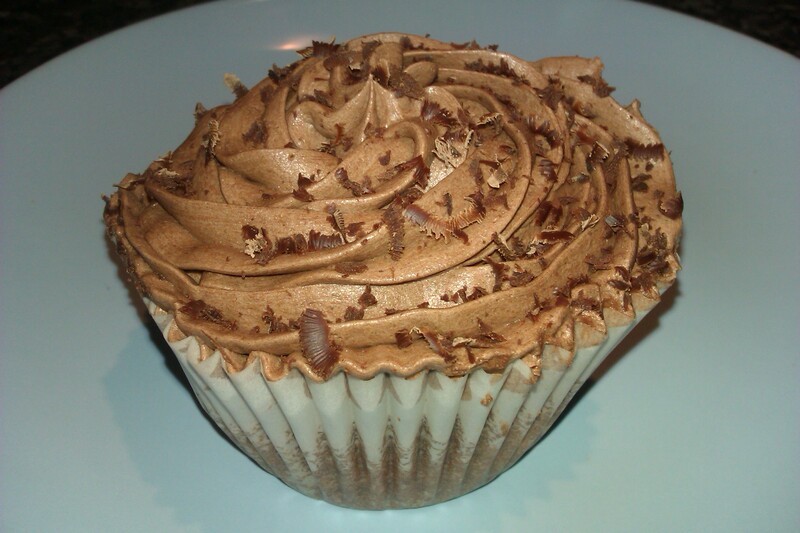 Louise is a registered dietitian and has decided to set up her own gluten free cupcake company after her experience of helping coeliacs through her work. As a coeliac it’s heartening to hear of someone being inspired in this way. The company officially launched this week and I noticed there was an introductory offer of four cupcakes for five pounds. Eating four chocolate cupcakes sounded like extremely hard work, but as a dedicated blogger I thought I’d struggle through and polish some off so I could tell you all about them 😉 Louise hand delivered these and it was lovely to meet her. 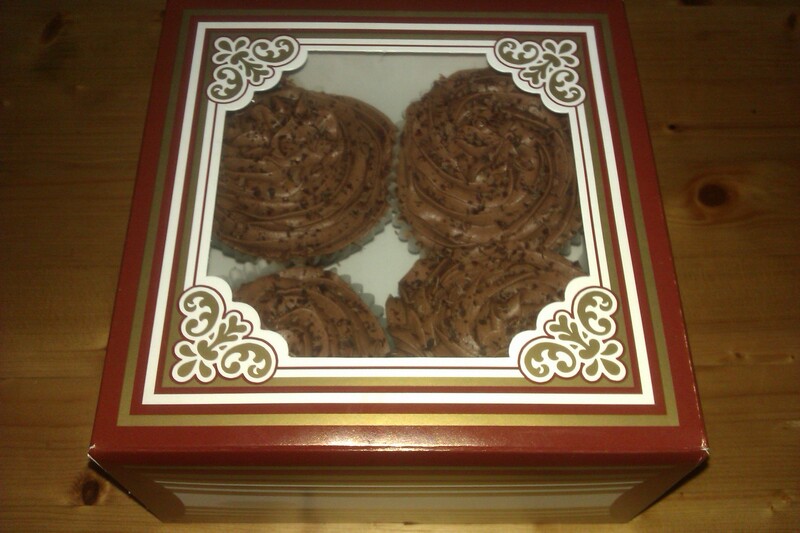 The cupcakes arrived beautifully presented in a nice presentation box. After eating so much tiny gluten free food, I was struck by the size of the cupcakes. They were slightly larger than a regular cupcake and I certainly didn’t feel short changed on this occasion. The frosting was beautifully piped and equally delicious. The cake itself had a real home made taste, and I mean that in a very complimentary way. Overall I really enjoyed these and I had one just before I wrote this blog post, actually that’s a lie as I had two. They were calling me from the kitchen, “eat me!”. Louise also informs me that these can be frozen with no issues, though I suspect not many will get as far as trying that. It’s also good to hear that Louise has been taking advice from Coeliac UK to ensure these cakes are suitable for coeliacs. These treats are currently on sale at Langage Farm Coffee Shop, in Ridgeway, Plympton and also at Plymouth Greengrocer in the Chaplins car park also at Plympton. I am of course a regular visitor to Plymouth Greengrocer so will no doubt be picking these up on a regular basis in future. A Piece of Cake Bakery will shortly launch a website at http://www.a-piece-of-cake-bakery.com/ but for now you can keep up through Facebook and Twitter. I wish Louise every success with her new venture. UPDATE 01/05/13: Sadly I must pass on the news that A Piece of Cake Bakery is no longer trading. Louise has taken on a full time job for another company, and so no longer has time to commit to A Piece of Cake. She will however continue to supply fruit cake to Bistro One. Louise has asked me to pass on her thanks to everyone who supported her while the company was trading.